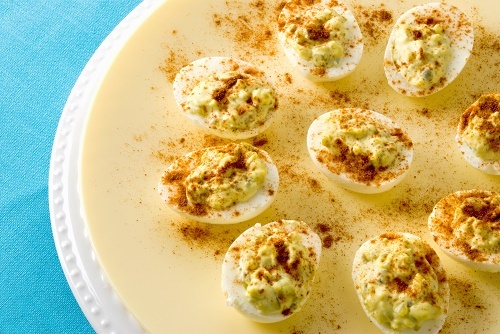 While traditionally picnic food, deviled eggs are great for brunch, too. Shell the eggs and cut them in half lengthwise. Scoop out the yolks and mash them in a bowl with the mayonnaise and mustard until smooth. Spoon or pipe the yolk back into the eggs and sprinkle with paprika before serving. The best brunches allow you to relax with your guests. Don’t spend hours cooking. Instead, focus on easy, fast recipes that you can enjoy, too.